Pecros.com - Sheet masks are face masks that are sheet-shaped and are usually made of natural fibers such as paper, cotton, cellulose, or coconut pulp. This sheet usually has gone through a chemical process and contain serum and water as its main ingredient. Generally, these masks are made with various vitamins, minerals, and certain protein content according to the type and benefits offered. Compared to ordinary masks, sheet masks can only be used once. Ordinary masks can be used repeatedly and need to be rinsed with water until clean. Different from sheet mask, The serum in the sheet mask will sink in so you don't need to wash your face afterward. This mask can also be used by anyone from young to old, both women and men, depending on the needs of your skin. For the best result, use this mask at night because sheet mask can make your face look oily if you use it in the morning before you do your daily activities. 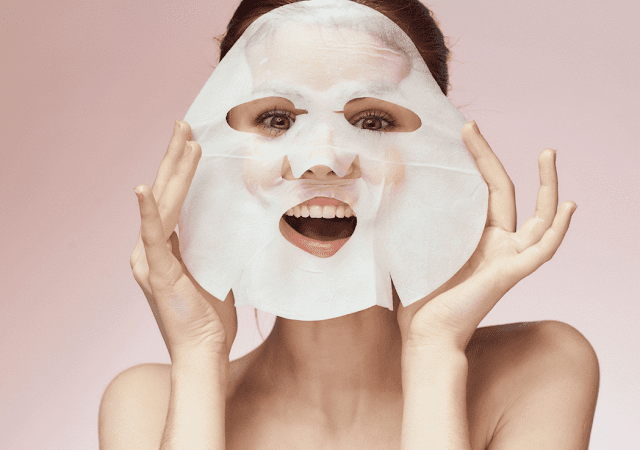 Sheet mask packaging is more efficient and sterile. Just open the package, remove the sheet mask and apply it to the face. No need to bother cleaning the remaining essence sticking to the face. Simply gently pat the remainder of the essence until it is well absorbed. Then, we can directly use other beauty products.